Whew! What a year! It's been a busy one. At what may be the busiest time of the year for all of us, I want to take a moment to thank you for your business this past year and wish you a happy and healthy holiday season. Our Doggie Daycare has grown! With more dogs, we have more personalities and different levels of excitement in our packs each day. With this growth comes a more chaotic drop-off and pick-up time in the "Big Dog" building. As you know, our number one priority is the health and safety of your dog. I have been talking with daycare owners across the United States regarding their protocol for these times of the day. Hands down, the most used protocol is the one that I have decided try. At drop off, each dog will go out to go potty first. Then, depending on the day, the dogs, and the level of excitement, some or all dogs will be crated for a short period of time as the drop-off process continues. This will help minimize the "excitement" factor, and the dogs will have a chance to settle before beginning playtime. Your dogs all know their crates as their "safety" spot, their den, and their place to rest or relax. They use their crates at nap time and they know that they will receive a special treat when crated. This process will also be used at pick-up time. Again, depending on the day, the dogs, and level of excitement, some or all dogs will be crated at the end of the day. Pick-up time will be smoother and safer with relaxed dogs. Each dog gets very excited when you arrive, and they can become possessive of their owner. In a pack environment this can escalate very quickly to a dangerous situation. Having the dogs in a calm state and somewhat separated will alleviate this problem. Any time you enter the daycare building, please try to be calm and quiet. This will help the dogs to remain calm. We know it is tempting to talk to the dogs and interact with them but it is not in the dogs' best interest when in a pack situation. If your dog is a high energy, very excitable dog, the earlier you get him or her to daycare, the better. This will give your dog time to settle and be integrated into the pack sooner. Understand that a crated dog is NOT being punished. The dog has done nothing wrong. Crates are not used for punishment. If you see a dog (or dogs) crated when you enter the daycare, the dog is being allowed to rest or become calm (with treats included). As this process progresses we may have other training tips and suggestions for you to implement at home. If you have any questions, concerns or comments on this new game plan (or anything else), please talk with us. We are here to provide your "kids" a safe, social, outlet for their energy and needs. We are constantly trying to improve our strategy to accomplish this and we are working very hard at having balanced, happy packs of dogs having a lot fun. We appreciate your help! When you drop off your dog this week, you may find a note in your box with the information we currently have on file regarding your dog's immunization records. If our information is not accurate, please bring updated records showing that your dog's vaccinations are current. If your dog is due (or overdue) for a vaccination, please schedule an appointment with your veterinarian as soon as possible - and bring your dog's vaccination record with you the next time you're in. If you don't have a copy of your dog's health records available, your veterinarian will provide you a copy to bring in to us, or you can request that the records be faxed to us at 454-9247 (454-WAGS). Thank you! If you regularly bring your dog on Mondays and would like to schedule your dog for another day during the week after Christmas, talk with us about the best day for your dog to come and play. Last Christmas, we asked you to bring dog food donations instead of Christmas treats for us... and you brought us nearly 700 pounds of dog food to share with seniors and their pets in the Yakima Valley. In cooperation with Acme Canine Center (formerly known as Manning Dog Training) and the Yakima County Senior Nutrition program (Meals on Wheels), your donations of good quality pet food will be delivered along with a senior's regular food delivery. We want to help prevent these seniors from having to choose between buying their own food and medicine or buying food for their pets. Just bring your donation to K9 Country Club from now until Dec. 30 and we'll make sure it's delivered. Or, you can take it directly to Acme Canine Center in Union Gap (1008 W Ahtanum Rd., #10) or to the Yakima Co-Op (501 S Front St.). Together we can make the holidays happier for those in need. Electrical/light cords - To prevent electrocution, keep electrical cords tucked behind or under furniture. Do not allow your dog to tug or chew on electric power cords. Tinsel - That sparkly stuff may look like fun to eat, but it can block your dog's (or cat's) intestines and require emergency surgery to remove. Antifreeze - Although antifreeze tastes delicious to dogs and cats, it is extremely poisonous and can cause a painful death. Clean up any antifreeze leaks or spills on the ground and be sure any container of antifreeze has a tight-fitting lid in place. Cold temperatures - If your dog must be outside when the temperature is below 32 degrees, be sure to provide a dry, sturdy shelter that will protect your dog from wind and moisture. Frozen water bowls - Be sure your dog has access to fresh clean water at all times. Outdoor water bowls can quickly freeze solid when the temperature drops. Chocolate - While chocolate may pose some danger to your waistline, it's a life-threatening hazard for your dog. Chocolate contains a chemical called theobromine, which can cause a toxic reaction in your dog's central nervous and cardiovascular systems. Depending on your dog's weight and the amount and kind of chocolate ingested, your dog may develop symptoms ranging from mild stomach upset to an accute toxic reaction. Call your vet immediately if your dog eats any chocolate. 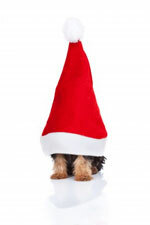 Ham or turkey dinner - Even on Christmas, it's kinder to give your dog veterinarian-approved treats and chew toys than be temped to give him a few bites of your holiday dinner. While your dog will happily scarf it down in seconds, chances are it will come back to haunt you both later. These foods are very fatty and difficult for dogs to "stomach," so to speak, and can cause anything from vomiting and diarrhea to pancreatitis. The bones from these holiday traditions are no better for your dog. They can also cause gastrointestinal problems --including blockages (from ingesting a large piece of bone) or impactions (from chewing off shards of bone that irritate the intestinal tract as they pass through). Both of these conditions are painful and can be dangerous. You will both have a happier holiday if you only give your dog his favorite dog treat. Progress continues with clearing the future home of the dog park in Terrace Heights. I will soon be looking at bids for paving and fencing. Let me know if you can recommend anyone. I'm putting in an order for more of the original K9 Country Club T-shirts. They're $20 including tax. Orders must be placed by the end of the day on Friday, December 23. If you want to see one before ordering, just ask the next time you're in.